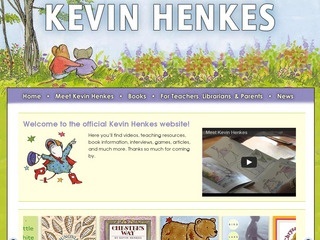 Award-winning author Kevin Henkes provides a complete listing of his picture books, mouse books and novels, plus provide excerpts and information on his upcoming books. The go-to bar will take you to individual titles, where you can get additional information about the book and characters. Fun and games are included for some books.